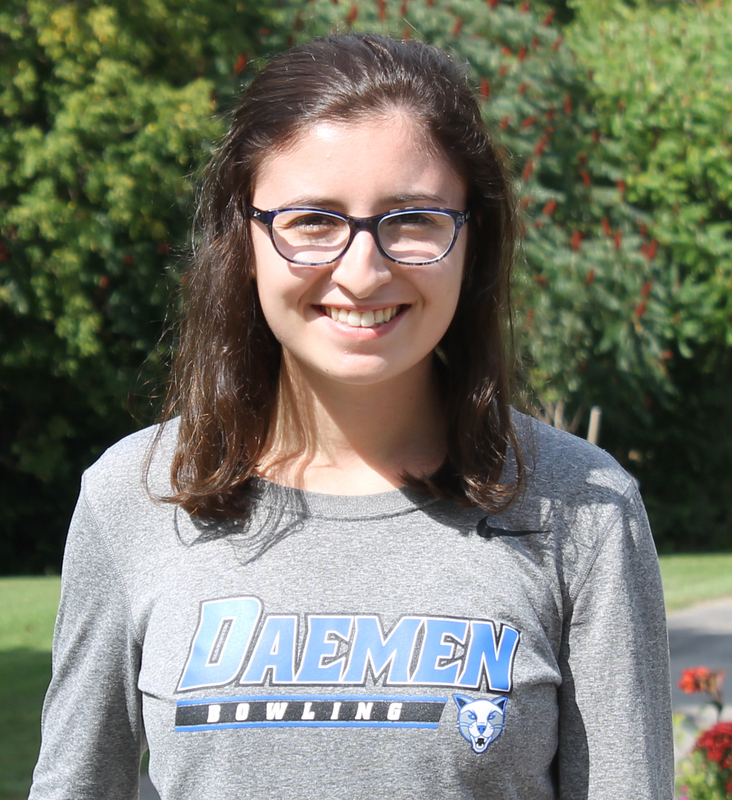 I chose Daemen College for multiple reasons; First, because I like the small campus size, second, because of the athletic training program, and third, because of NCAA division 2 competition for Women's Bowling. I chose to major in athletic training because I am passionate about working with athletes and helping them achieve their goals. My academic experience at Daemen so far has been a little challenging; I enjoy the health promotion courses, as well as the sciences, despite their difficulty. All my professors have been personable and helpful in and outside the classroom. I live on campus in the campus apartments, and I really enjoy living on campus because I have close proximity to my teammates and friends in my major. I am a part of the Women's Bowling team and the Athletic Training Student Association. For bowling, we compete in NCAA D2 East Coast Conference, and for ATSA we meet monthly and discuss local events and news pertaining to athletic training. My favorite hangout is in the athletic department because it's easy for me to get together and study with my teammates and friends on other teams.